Many people like using their home’s attic to provide a little extra storage space in their homes. While attics really aren’t designed for this, with a little bit of work, many attics can be transformed into a useful storage space. The trick is to do it without causing any damage to the home. There are two ways you might damage your home are by overloading the ceiling, causing it to sag or compressing the insulation, reducing your attic insulation value and causing an increase in your home energy cost. The method we are going to discuss will avoid those problems. 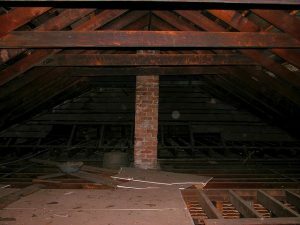 Not all attics can be floored, so before doing anything else, it’s important to check how the roof of the home is constructed. If it is constructed by using trusses, it can’t be floored. The 2″x 4″ structural members used for the ceiling joist part of the truss aren’t strong enough to support the weight of a floor, the weight of whatever is going to be stored in the attic and people walking around up there. If the roof structure consists of a ridge board with rafters, it is ideal for flooring over, providing extra storage space in the home. If the floor underneath the attic has a dividing wall that runs perpendicular to the direction of the ceiling joists, so much the better; that wall will help support the weight in the attic. Most people only floor the central part of an attic, as there isn’t enough headroom to make it worth flooring all the way to the eaves. Sculptured ceilings in the floor below can limit the area that is going to be floored as well. If you are going to put shelves around the floored area, be sure to make the flooring extend under those shelves. In cases where the HVAC unit is installed in the attic, be sure to leave access to it for maintenance and repair. Before putting the flooring in, construct a riser in the attic of 2″x 4″s. Some people put in a floor without this step and end up crushing their insulation. The joists for the riser should run perpendicular to the existing ceiling joists, in order to spread the weight across several joists. Build it on 16″ centers and cap the ends with a single cap later. Instead of nailing the riser together and nailing it to the existing ceiling joists, use screws. This will prevent cracking the ceiling drywall or causing any of the texture to fall off. With the riser in place, install a layer of unfaced R-13 fiberglass insulation. The insulation tends to crush down over time, so adding this layer will help ensure that your home stays well insulated. With a floor in place, you won’t have another opportunity to add insulation in this part of the attic. 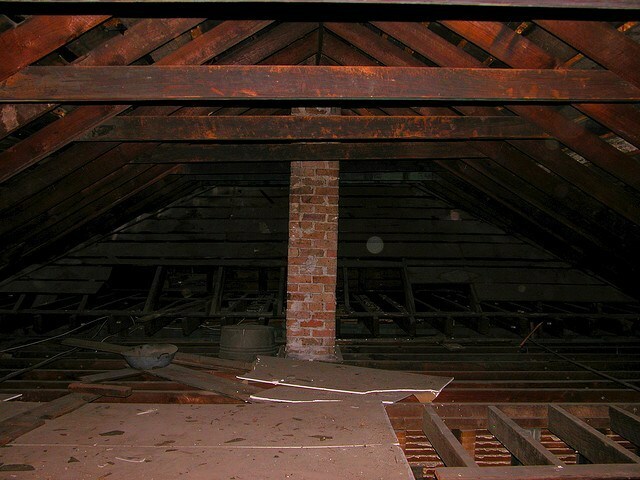 An attic can be floored with 1/2″ CDX plywood, if it is being used for storage. 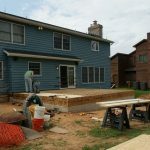 Although thicker sub-floors are normally used for the living spaces in a home, those are usually OSB. However, if the attic is being turned into a living space, then 3/4″ thick plywood should be used. Few attics have access that makes it possible to carry a 4’x8′ sheet of plywood up the stairs or ladder, but if you rip it the long way, making the sheet into two 2′ wide strips, it is easy to carry up. Like the riser, the plywood should be screwed down, rather than nailed, completing your project.